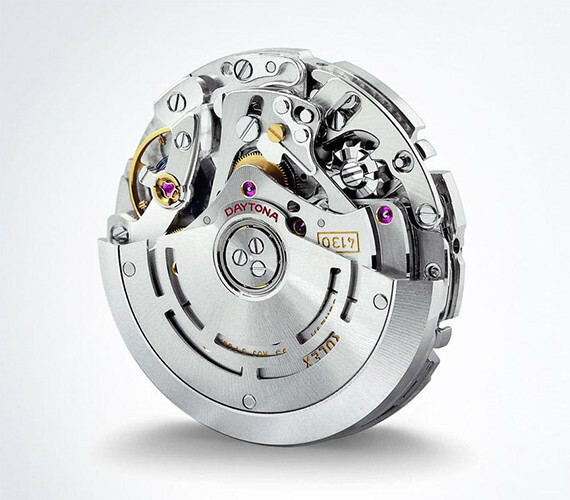 Calibre 4130’s performance stems particularly from the use of a vertical – instead of lateral – clutch to activate the chronograph. 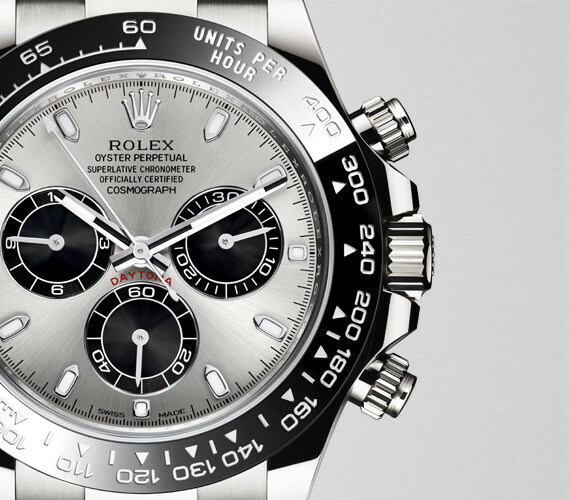 This solution functions on the principle of two discs, one above the other, which work together by direct friction contact and offer significant advantages – extremely precise starting and stopping of the perfectly smooth running chronograph seconds hand as soon as the pusher is pressed; and the capacity of the chronograph to function for long periods of time with no negative impact on the precision of the watch. The monobloc Cerachrom bezel in high-tech ceramic offers a number of advantages: it is corrosion resistant, virtually scratchproof and the colour is unaffected by UV rays. 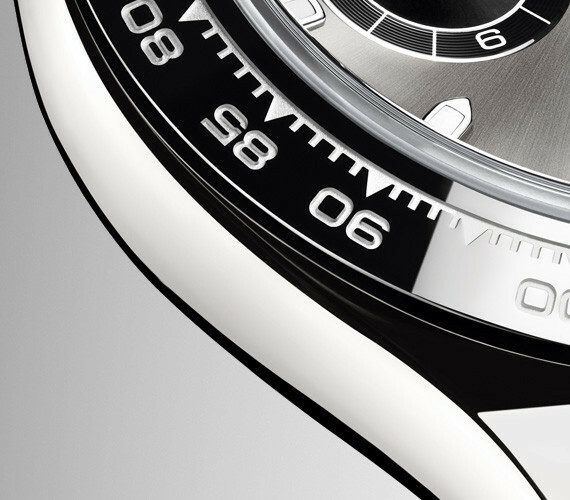 This extremely durable bezel also offers an exceptionally legible tachymetric scale, thanks to the deposition of a thin layer of platinum in the numerals and graduation via a PVD (Physical Vapour Deposition) process. The monobloc Cerachrom bezel is made in a single piece and holds the crystal firmly in place on the middle case, ensuring waterproofness.